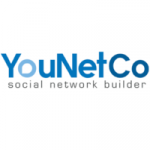 YouNetCo is a US-based company dedicated to Social Network with production in Vietnam and business office in CA, USA. Our people include talented engineers and researchers who love to develop from small items to big social network based products. We have been in this emerging domain since 2008 with 1,000+ social projects completed, 50+ add-ons produced. Our social network extensions have been used by more than 10,000 social networks in the world. Once you have idea but do not know how it work with the platform, we then can help you to have custom template for your social network and integrate to the platform to have very first version. The process of installing our phpFox apps is as easy as a piece of cake. However, if you are too busy to install our products, we can do a professional installation for you. We can help improving considerably performance of your social network so that your website runs faster by reducing page loading time. Server load is reduced so that your social network is more stable and can serve more users. With more than 6 years of experience with phpFox Development, our staffs can satisfy customer’s needs from small tasks to big projects. We have Technical Architect/R&D staffs that can give you solutions as well as consult you best solution for your networking website. We have purchased the Professional Package to extend the phpfox software, with much more functions, that we need. Everything is fine. Support is excellent and does fix the bugs, that we found very fast. Great work together! I've purchased a couple of addons for my site SocialADN.com - as they fit right in with the niche of my site and the support is great. They offer quality customization for their apps and addons so that they flow seamlessly within your site giving end users the ultimate product. Highly Recommended Development and Support here. They offer high quality products, and always help you with all the sincerity and humility in Advanced Programming when customers have doubts. I myself tend to have doubts and they answer all my doubts. I have become a big fan of this company. Outstanding support with purchasing my first plugin from them. Great to see a company that listens to its customers. I will definitely be buying more plugins from them along with requesting some custom work done to my site. The support team is great! They help you with everything!